Fur-effect may not be the latest nail effect out there. But a few days back I wore it on my nails and LOVED the whole look. Since then I have wanted to a quick nail tutorial for anybody who has had trouble applying it. I am going to demonstrate with MUA Fur-Effect Nail in Fluff & Cuddles. 1. 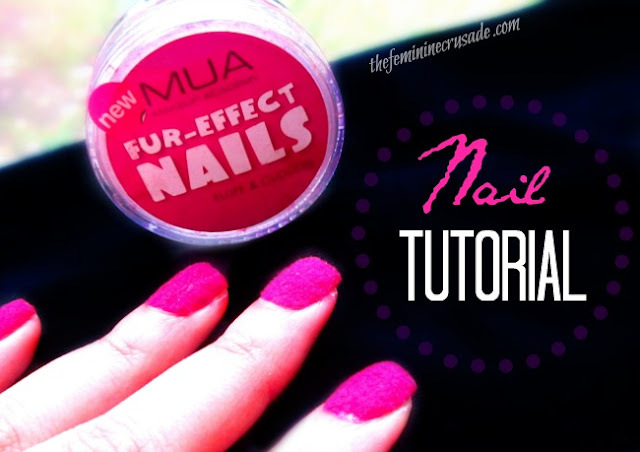 Paint your nails one coat of a nail polish which is closest to MUA's Nail Fluff colour. I am using Astor Soft Hydrangea. Let your first coat dry completely. 2. In the lid take out some nail fluff. I took off the sifter as the fluff wasn't coming out easily. 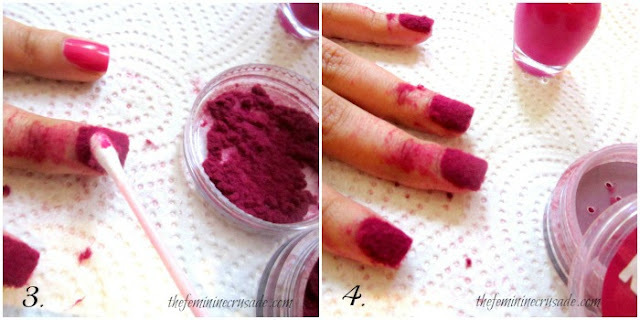 Put a second coat of nail polish on your nails and dip your wet nail in the fluff. Press firmly and move your finger from left to right to cover it properly. 3. Take out your finger and pat and press it with a cotton swab so that the fur sticks to it properly. Do it for all nails. 4. Your nails will look quite messy after. Just take a soft paper towel and wipe off your fingers. 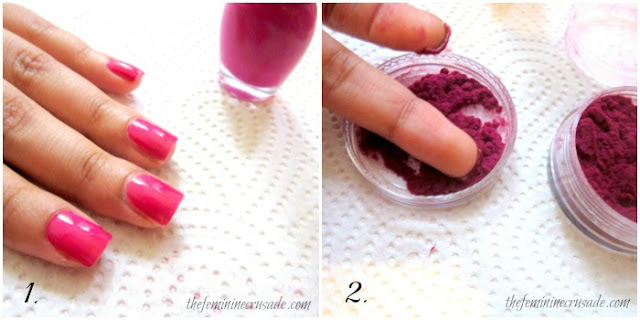 Use a cotton swab soaked in nail polish remover to clean the edges off your nails if you smeared some nail polish. And this is how it should look in the end all cleaned up. Pretty neat, huh? I wasn't expecting it to look so immaculate. They do not last for more than two days, since you will be washing hands all the time. Still, they look gorgeous and honestly the process does not take much time. MUA Fur-Effect Nails are available in 5 colours! Buy them for £3.00 from Superdrug and for PKR 500 from Just4girls.pk.